Okay….how much in love is George Clooney that not only has he gotten engaged after decades of swearing off the institution of marriage…but now, word has it, he’ll be saying his “I Do’s” at a location recognized and beloved by millions of fans around the world…none other than romantic Highclere Castle, which doubles as the home to Lord and Lady Grantham in the hit ITV/PBS series, Downton Abbey! Boy, when this guy jumps back on the bandwagon he goes whole hog! Downton Abbey’s Highclere Castle to play host to Hollywood royalty! If women around the world weren’t already in love with this man…(not me, other women)…this is going to seal the deal. I mean, what bride doesn’t dream of feeling like royalty on her wedding day? That one special moment in your life where you get to be the princess marrying her Prince Charming…and I guess Clooney would be the closest thing we have to Prince William. The next Highclere Castle bride? 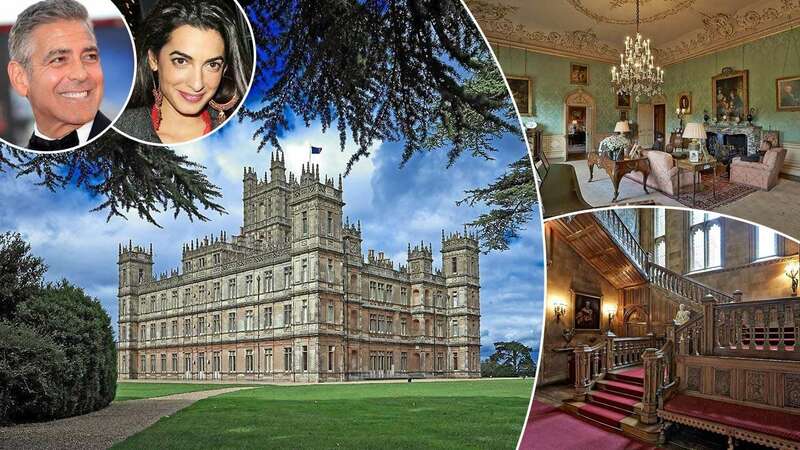 According to US Weekly, the betrothed visited Highclere Castle recently for a private tour. 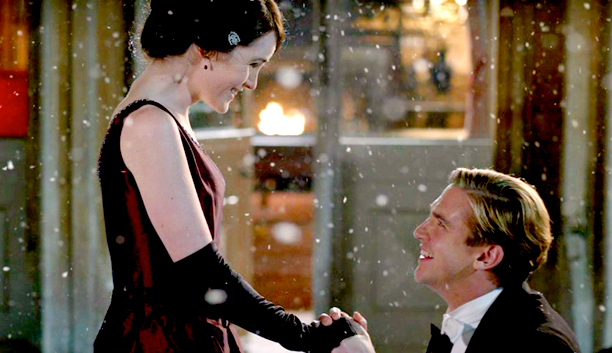 Amal was said to be blown away by Lord Grantham’s (well, in real life its Lord Carnarvon’s) estate and that got Clooney thinking…why not get married in the very place where Matthew Crawley finally proposed to Lady Mary? Ohmygosh, if Clooney had a British accent I’d marry him myself! But then, that might upset my future husband, Colin Firth…. I wonder if George will have snowflakes falling when he marries Amal? Because…he’s George Clooney…he can make that happen. But, if George finds out that Highclere Castle is all booked up…it’s not like he doesn’t have other options for choice of wedding venue. He happens to own one of the most gorgeous Italian villas on Lake Como, Italy. 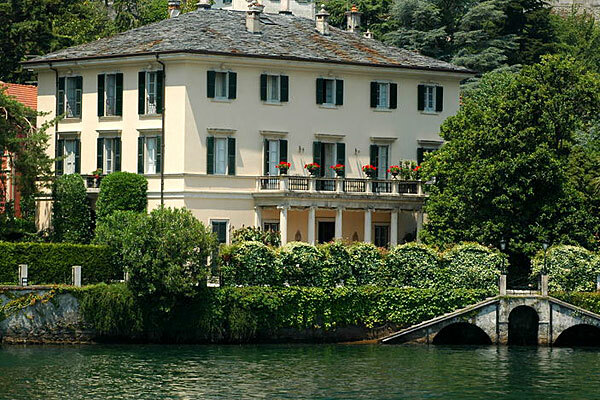 (Maybe the only villa on Lake Como…I don’t actually know, George has never invited me.) It’s called “Villa Oleandra” which features a balcony so grand it makes me want to slip on a white gown and sing “Don’t Cry For Me Argentina” arms outstretched to the heavens…. Of course, Lady Carnarvon is not just making an exception for George Clooney because he’s a devilishly handsome American movie star. 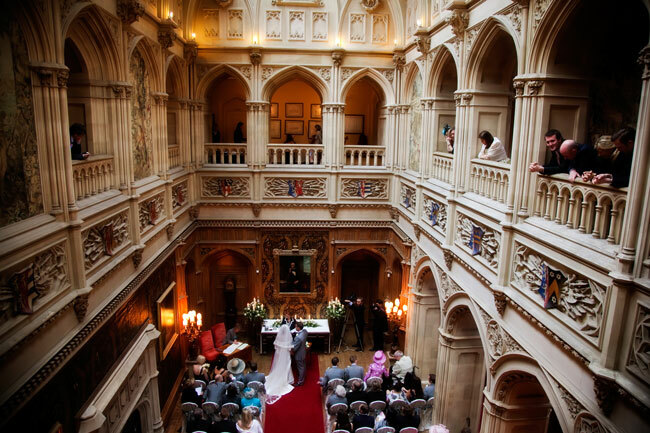 Many brides have tied the knot at the sprawling Hampshire estate…getting married in the Grand Saloon where so many memorable moments have taken place for the Crawley family. It is said George and Amal are planning a fall wedding. How romantic! I can’t wait to see the wedding invitation…I’m going to start shopping for my fascinator now! Lady Anglophile…Waiting on my invitation! This entry was posted in Home Page Posts, Lady Anglophile Reviews & Other Bits and Bobs and tagged Amal Alamuddin, Downton Abbey, George Clooney, Highclere Castle. Bookmark the permalink. PERFECT !! FABULOUS !! She is a lucky lady !! Prince George! Fitting! Hope the Anglophile Channel gets lots of pictures!